Magnetic boat set for dinghy sailing. Ideal for accurately depicting dinghy races, enforcing and teaching the Racing Rules, as well as for protests. For Sailing clubs, committees, dinghy sailors and coaches. 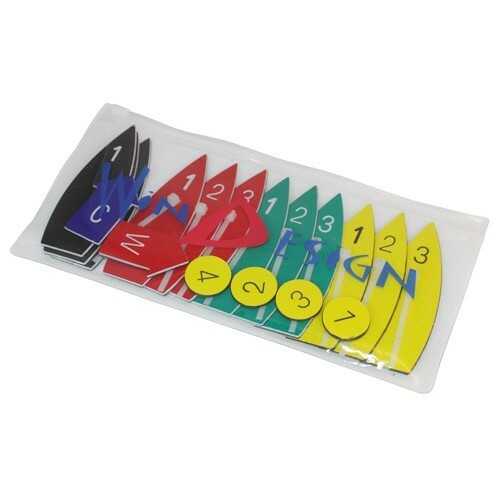 This pack comes in a handy zip lock, plastic bag, small enough to be carried around everywhere, and contains 12 boats in various colors, one wind arrow, one tide arrow and 4 racing marks.